About 30% of schools in India are without permanent structures, about 14% have no drinking water facility and about 60% have no separate toilets for girls, according to the official figures. Even within larger schools, the level of infrastructure needs a lot of work. 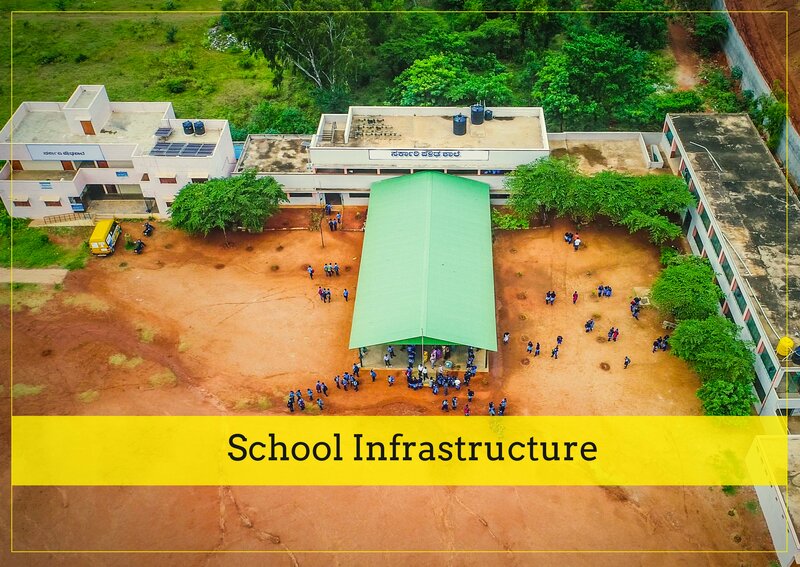 We strongly believe that lack of infrastructure has a serious impact on the quality of education. The DISE data shows that only 6 out of every 10 schools in the country have access to electricity. State-level data throws up an even grimmer picture—onethird of states do not provide electricity to the majority of their schools. While, there are also schools that have no toilets at all, the Annual Status of Education Report, report says that only 65% of schools have usable toilets. We build toilets, classrooms, water facilities, etc. in schools to ensure that students have access to a quality learning environment. Where usable classrooms exist, we provide for soft infrastructure like Furniture, e-classrooms, libraries, lighting, water, etc. We work with communities who are deeply committed to their children’s education. The communities may contribute to the build through labor and materials, while we provide supplemental programming to provide quality learning.